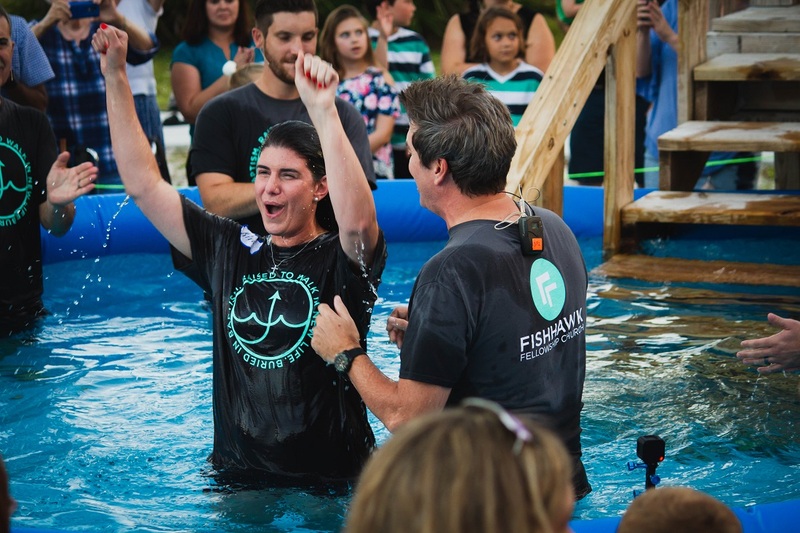 Fishhawk Fellowship Church broke a personal record by baptizing 75 people in a single day. 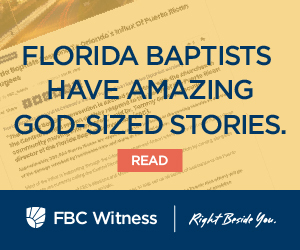 “This past Saturday, the 13th after our evening service, we hosted our annual Outdoor Baptism where we baptized 75 people – the most we have ever baptized in a single day,” wrote Tyler Flores, Fishhawk director of media and communications. Over the course of the weekend the church baptized five more people for a total of 80. “During the course of the night, we hit 1300 baptisms in the life of our church [which] started in 1998,” he wrote. The event was hosted in the church parking lot with food trucks, bounce houses and a large rubber pool for the baptisms. Lead pastor David Whitten is currently walking the church through a sermon series on Christian doctrine, said Flores. The series, titled Christian(ese), focuses on what the Bible says about the Trinity, the Gospel, the church, and baptism among other topics. In the days leading up to the baptism event, the number of those ready to be baptized rose significantly. The group baptized that weekend included kids, singles, and families. Some had transitioned from Catholicism and through the sermon series were understanding the Gospel and baptism from a fresh context. “It was interesting and amazing to see families being submerged at once in a rubber pool,” said Flores. Pastor Whitten along with executive pastor Tony Parker, teaching pastor Daniel Butson and student pastor Chris Greenwood, baptized the 75. “I am excited about this and I celebrate with them,” finished Singletary.